Neil Gaiman. DURAN DURAN. THE FIRST FOUR YEARS OF THE FAB FIVE. Proteus, London 1984. Neil Gaiman's first book. Not common as a paperback but decidedly rare in hardback and dust jacket. The book itself is a small quarto art book size glossy job, slightly trashy in appearance falling into the sleeper category of 'a book that looks like nothing.' Gaiman refers to it as his 'dark secret' and would probably like to see it obliterated and consigned to pulp oblivion. The publisher Proteus went bust shortly after releasing it. In hardback it is probably his most valuable book and he looks a decent enough guy to sign a copy if one was proffered. See pic below of him and his new bride Dresden Dolls singer Amanda Palmer - they were married Jan 2 this year in Berserkley, California with Michael Chabon and Lemony Snicket in attendance. Snicket (real name Daniel Handler) played accordion as the duo walked down the aisle. 100 years ago it would have been James Branch Cabell, Baron Corvo, H.G. Wells (possibly with his teenage lover Rebecca West) and Edward Elgar on the harmonium. I suppose this is Gaiman's equivalent of Amis's Space Invaders book. That said I can't see too many takers now or in the future at prices quoted for hardcover. You could "lay this down" but I doubt you'll be picking it back up at a profit at these prices. BTW I am fairly sure it is pronounced "Gay-man", at least here in the UK in comic circles. 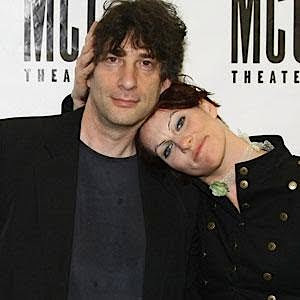 Gaiman looks kind of smug. Is he smug? 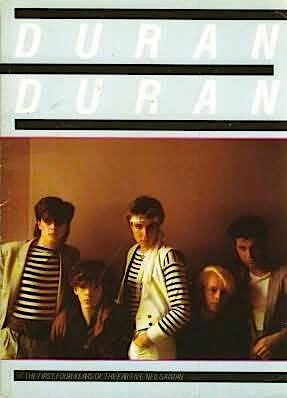 Ah, I have this book...and as a Gaiman fan AND a Duran Duran fan...I guess I should keep it!